Ehret was the dominant influence in botanical art during the mid-18th century, and his work is highly prized today for both its botanical accuracy and aesthetic appeal. Taught by his father, Ehret settled in England in 1736, remaining there for the rest of his life as a botanical artist and drawing master. 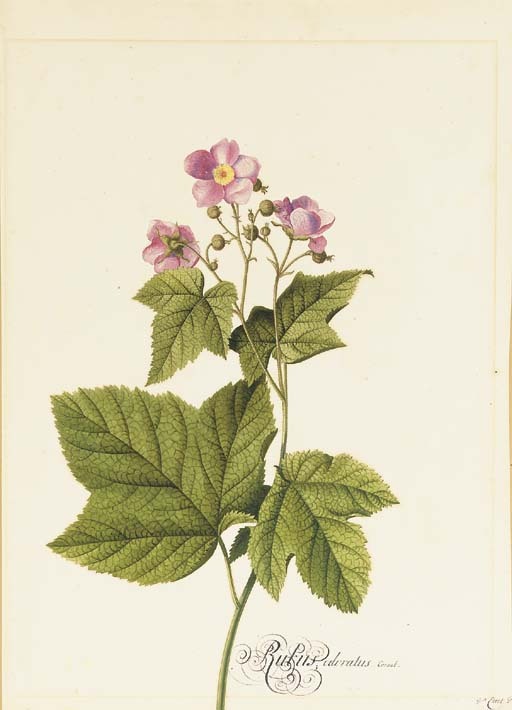 His reputation was extended by the publication of various flower books based on his drawings, including Dr Trew's Plantae selectae, 1750-1773 and Hortus Nitidissimus, 1750-1786. Gerta Calmann maintains, however, that his original drawings 'were the true expression of his genius' (Ehret Flower Painter Extraordinary, Oxford, 1977, p. 99).